One day I happened to mention in a text to our neighbors that I wasn’t feeling well. I was down for the count with a head cold. The next thing I knew she was on our porch with homemade chicken soup accompanied by fresh cut pieces of baguette and a bowl of strawberries. All delivered by her wonderful self, in a handy canvas German market tote (she’s from Germany). 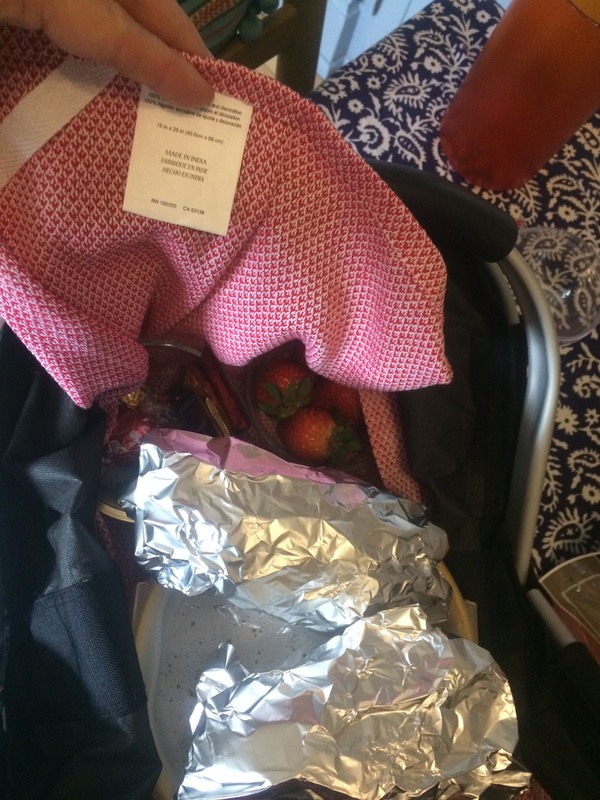 The kindness received was just as much of sustenance as the nourishing food. We all know that when our body’s sick, our mind can also be pitiful. A kind word or action (or both!) can shore up someone’s spirit like nothing else. Kindness holds that kind of power. The sort that can turn around a person’s day – whether there are sniffles and a headache in it or not. 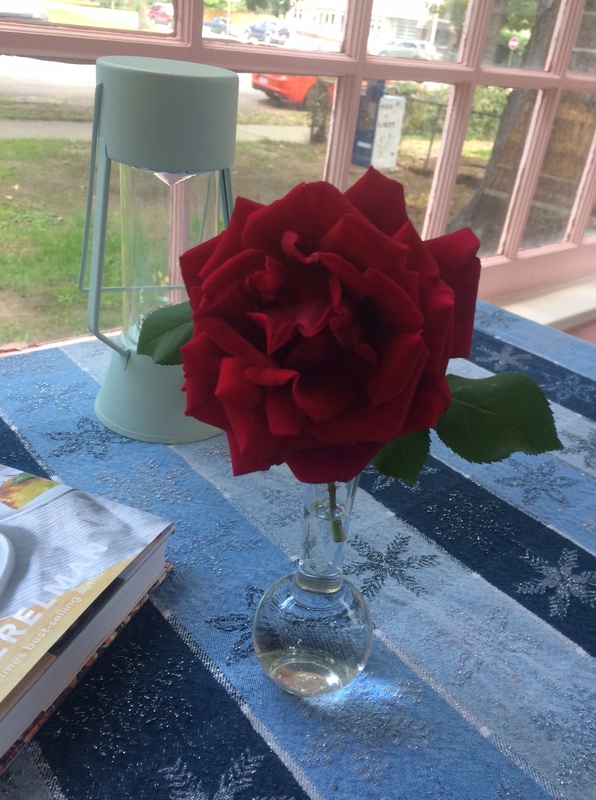 Recently, we watched their house while they were out of town, picked up the newpapers … when they got back the most deliciously sweet, gorgeous deep-red rose showed up on our porch in a clear glass bud vase. What kind of magical sprite of niceness is this? Sent from my apparently not as smart as I would like phone. Gotta love Autocorrect.